Size: approx. 3 mm. Photo: 04/03/16, noon. 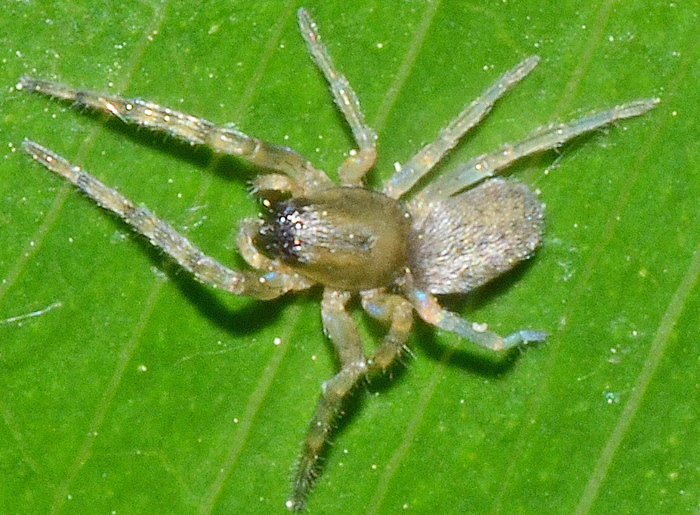 A small Ghost Spider in the genus Hibana which has six species in North America. While reading up on this spider, I found several references that mentioned the agricultural importance of ghost spiders as enemies of damaging moths. Apparently these spiders eat the moth eggs, which make them also difficult to study in the lab.